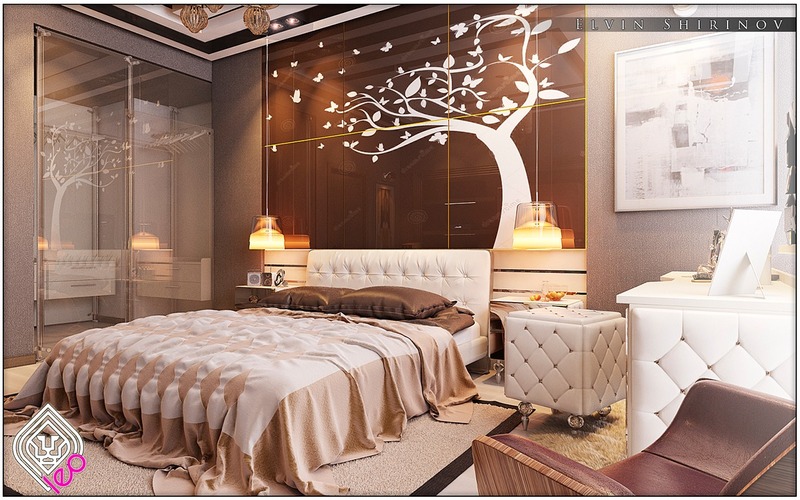 The oversized tree graphic really gives this bedroom a focal point. 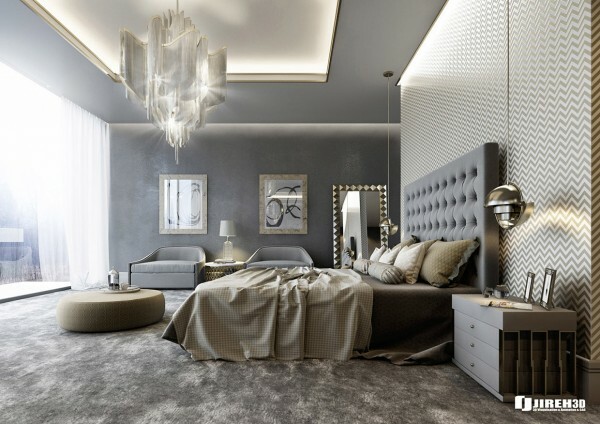 Chocolatey brown bedding and walls are neutral but still rich while a stunning vanity and metal accents make this a modern Cinderella’s dream. Of course, sometimes a stripped down design is what luxury is all about. 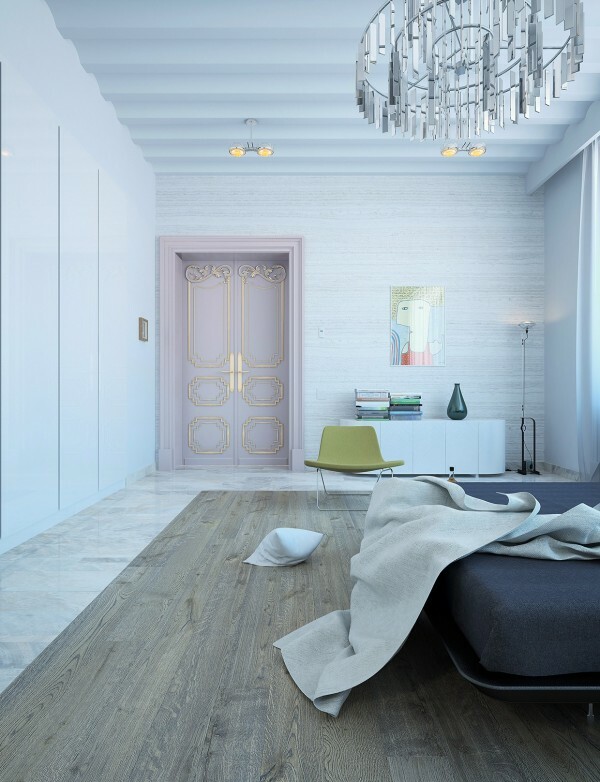 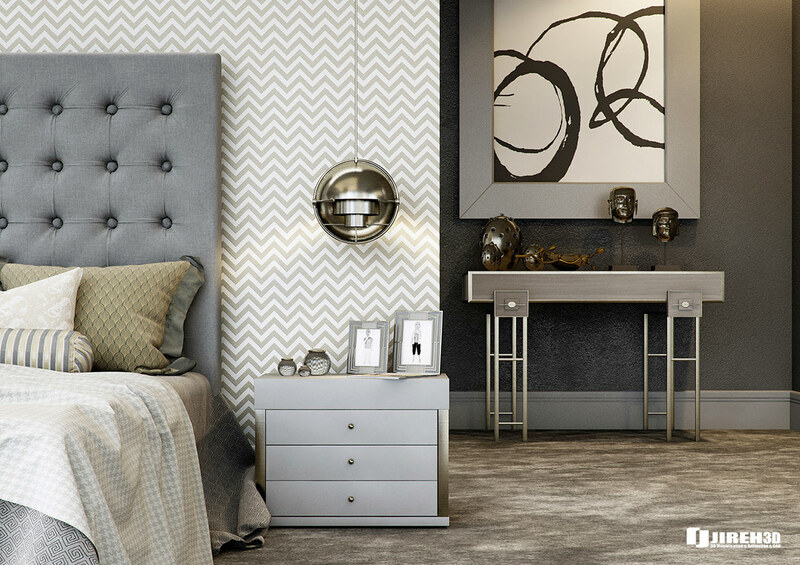 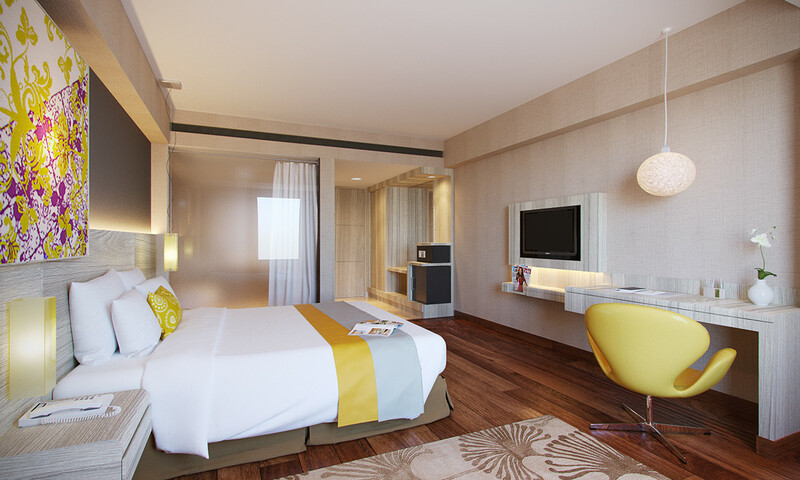 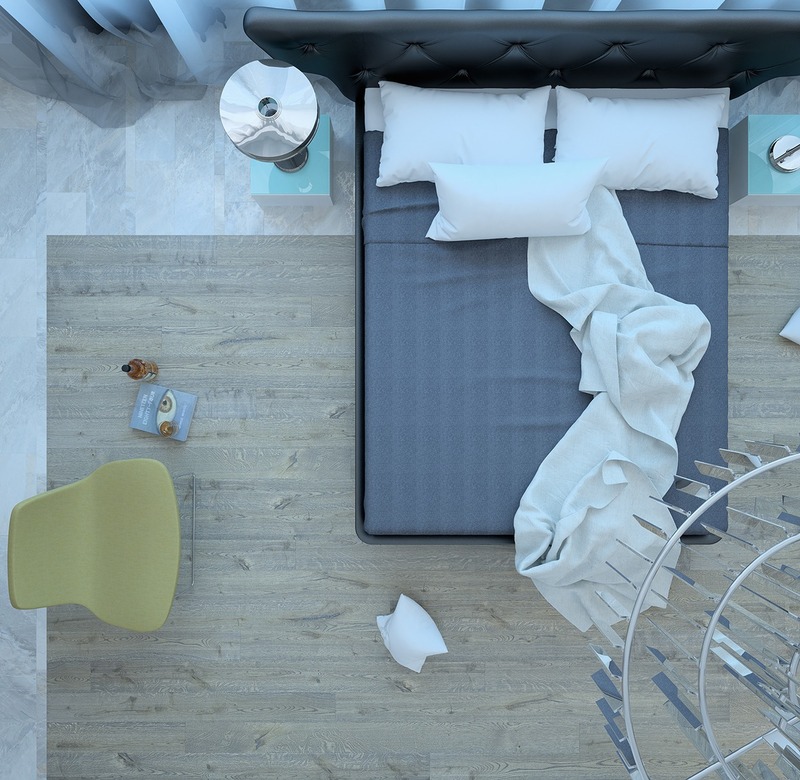 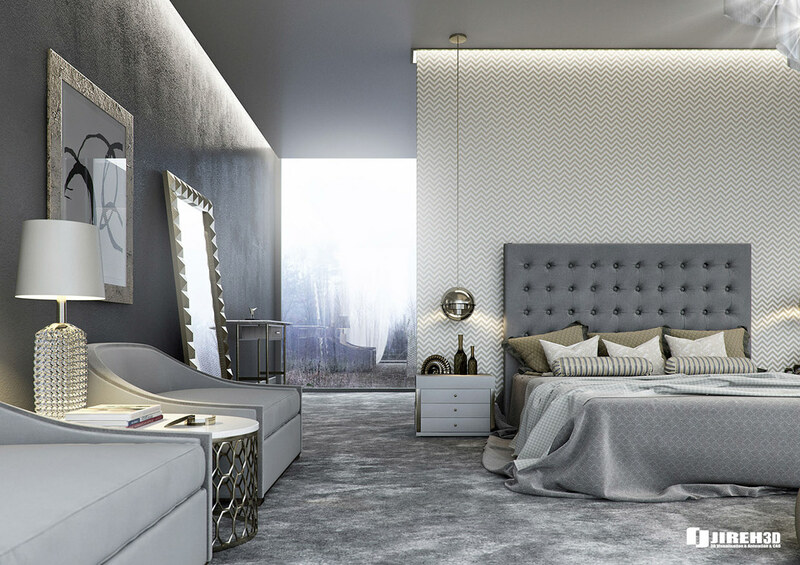 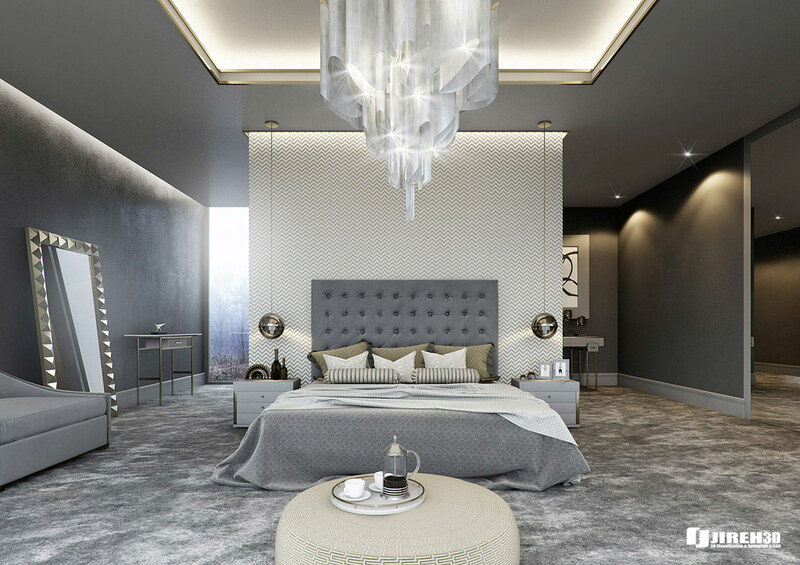 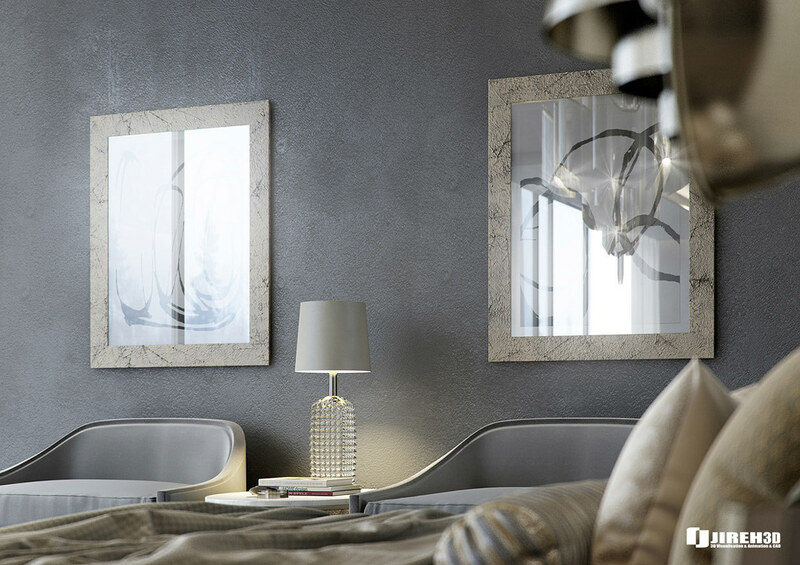 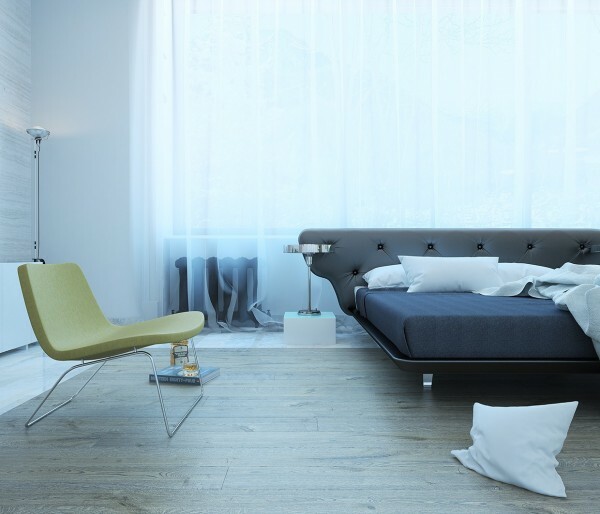 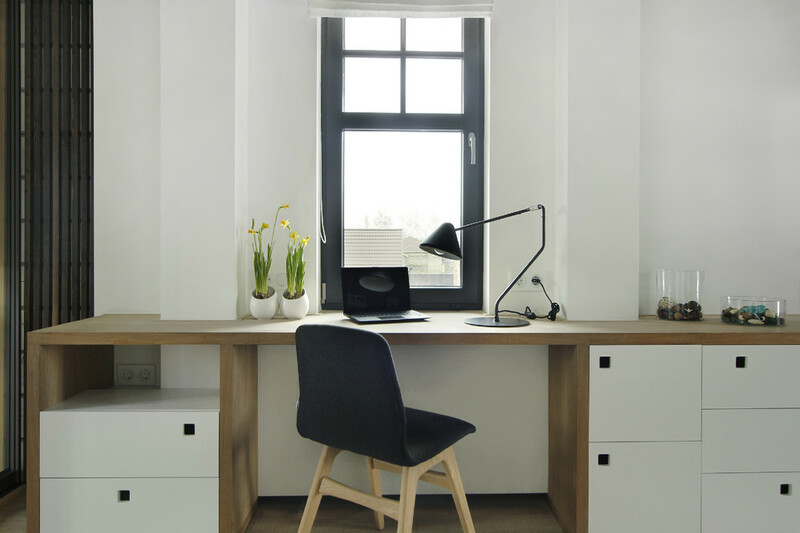 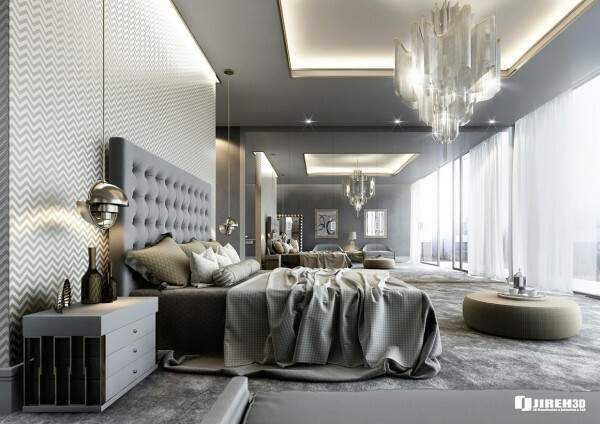 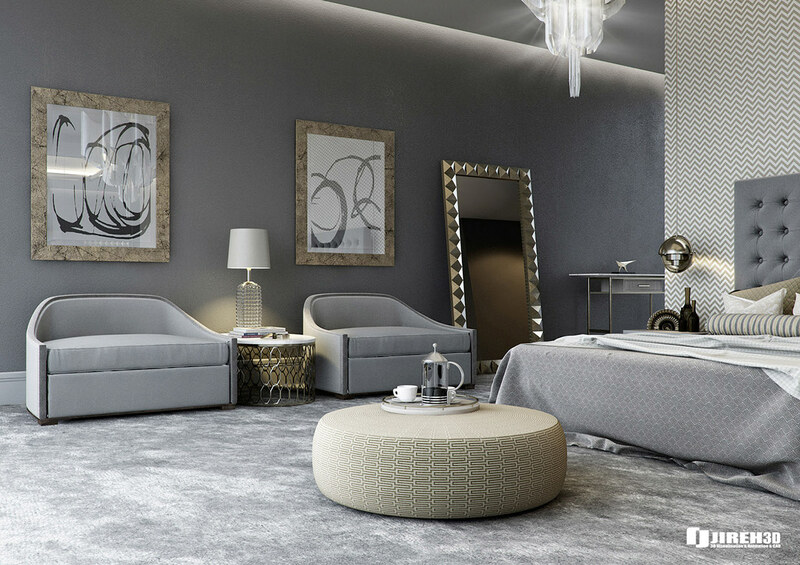 This sleek and minimalist bedroom still speaks to luxury but it does so in a whisper. From simple white gauze curtains to a long and low bed there is nothing here that isn’t necessary. Except maybe the chandelier. 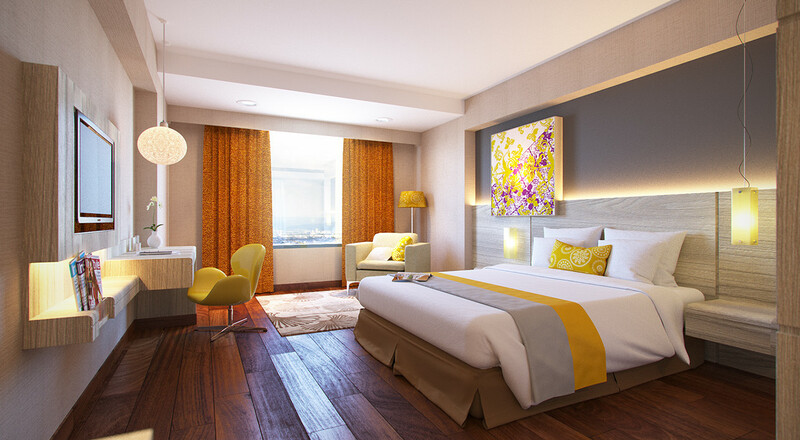 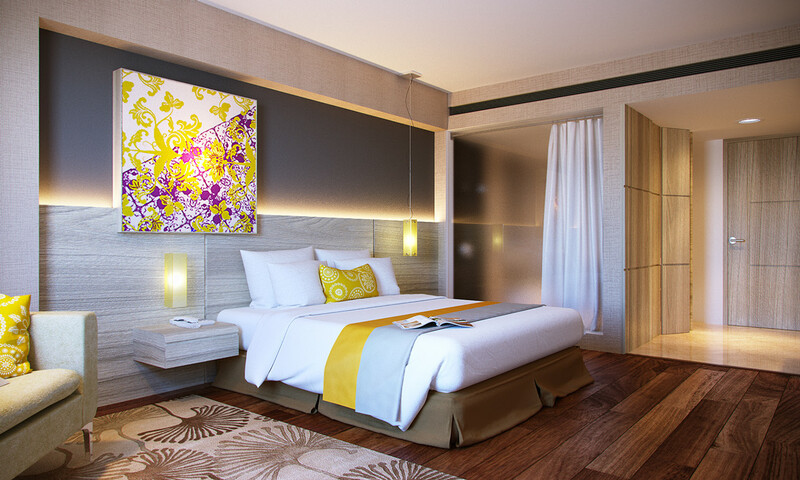 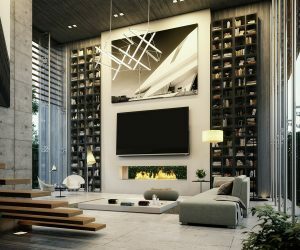 The luxury features don’t stop in this bedroom. 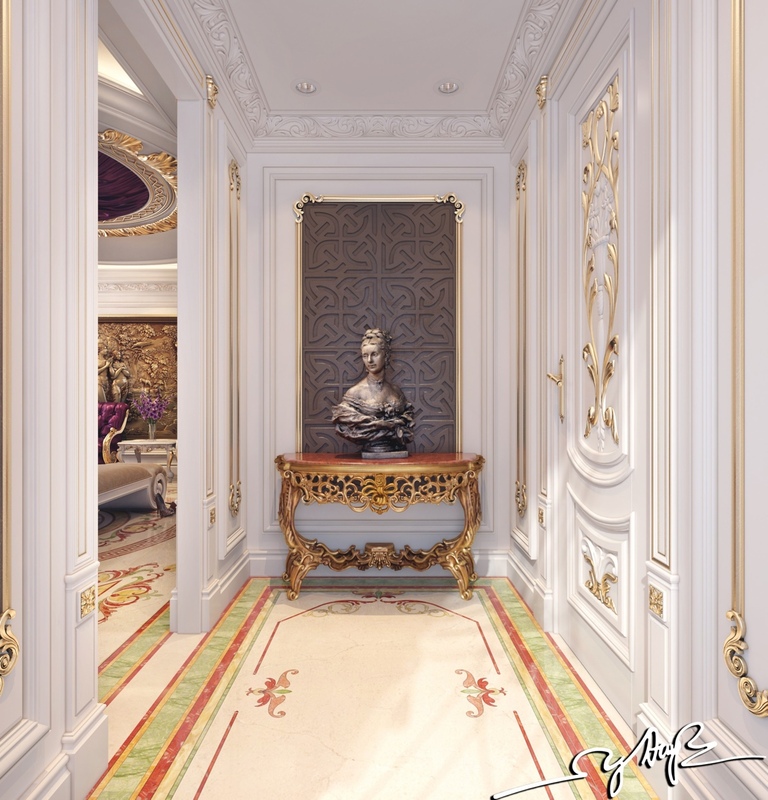 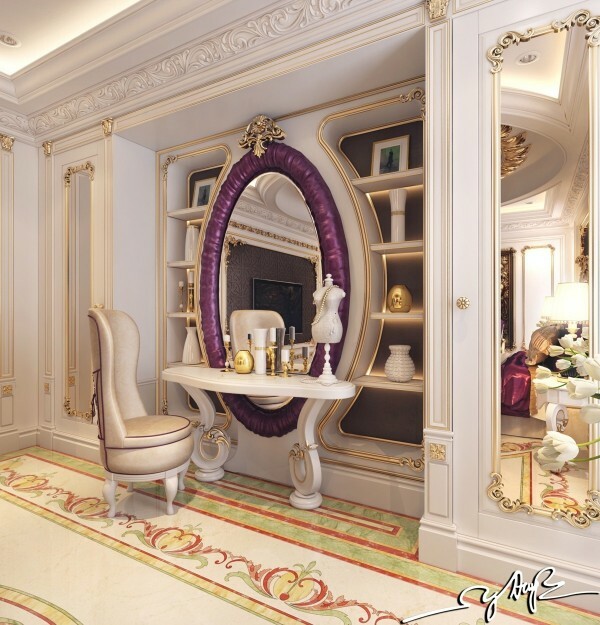 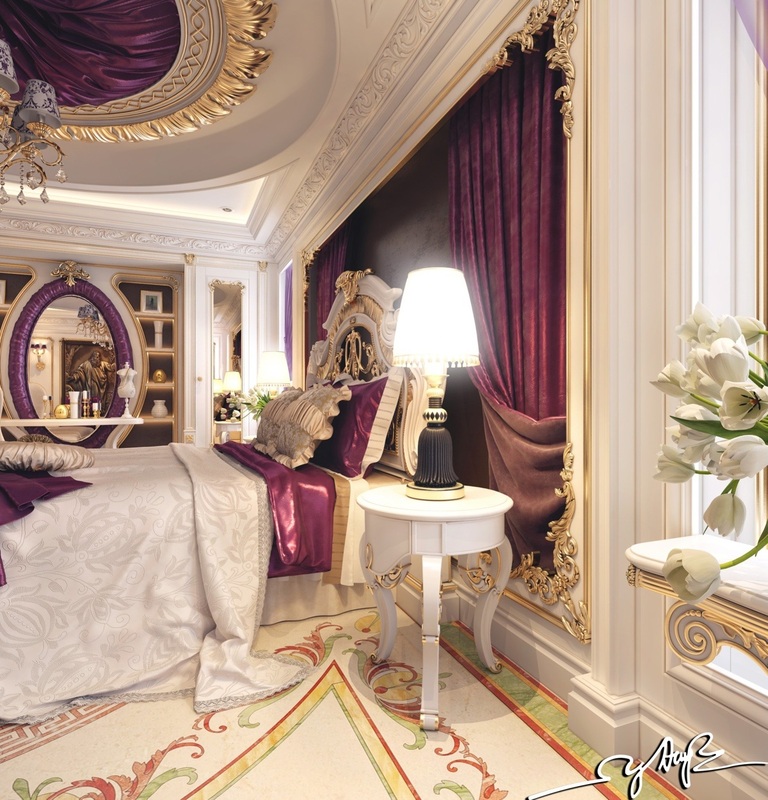 Mounting the elevated bed platform is like climbing into a throne while an elegant, ornate vanity is also fit for royalty. 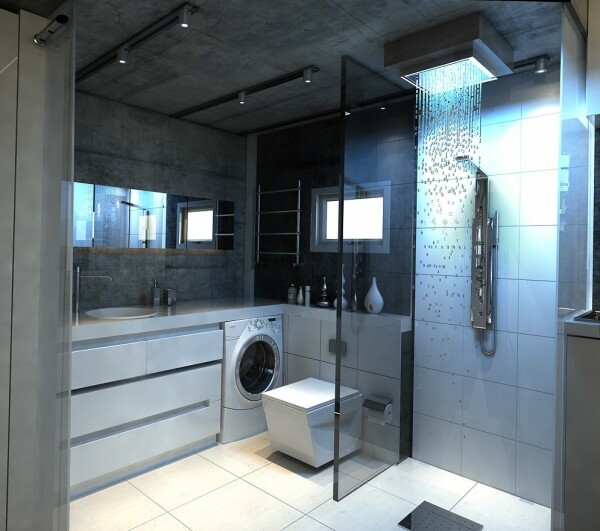 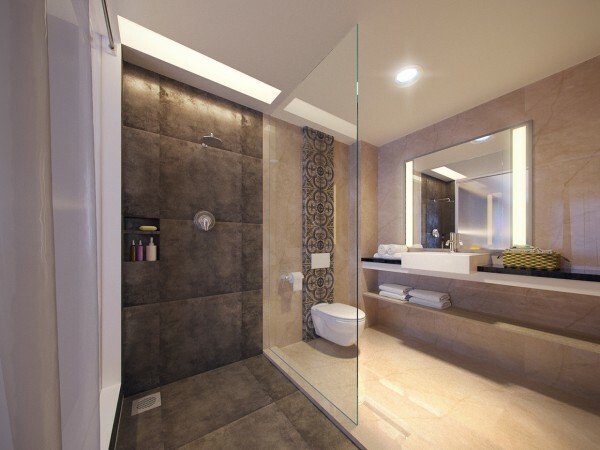 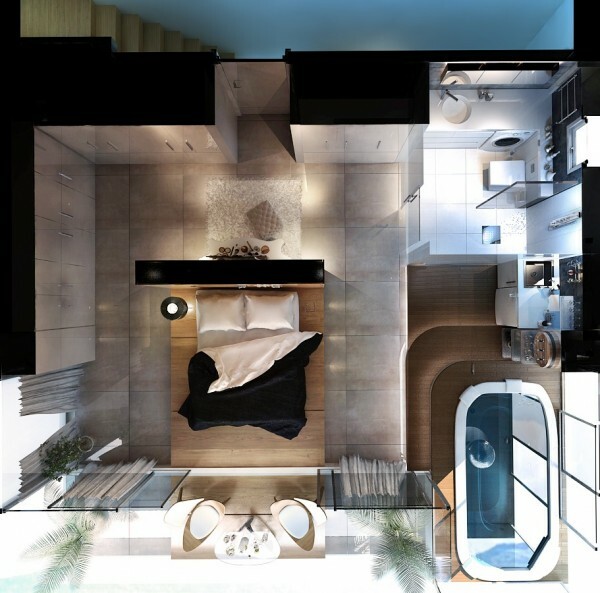 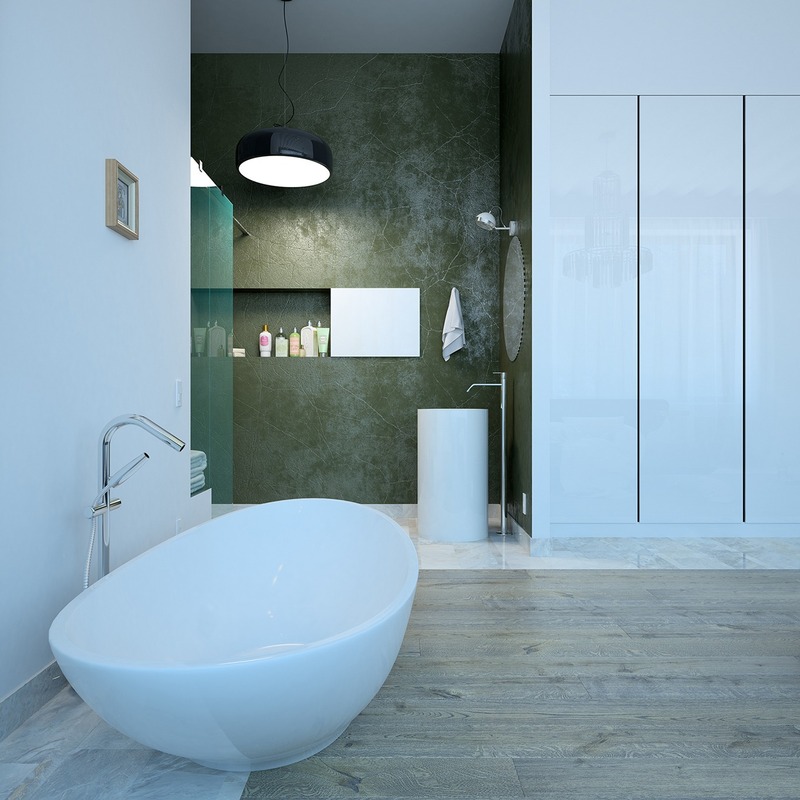 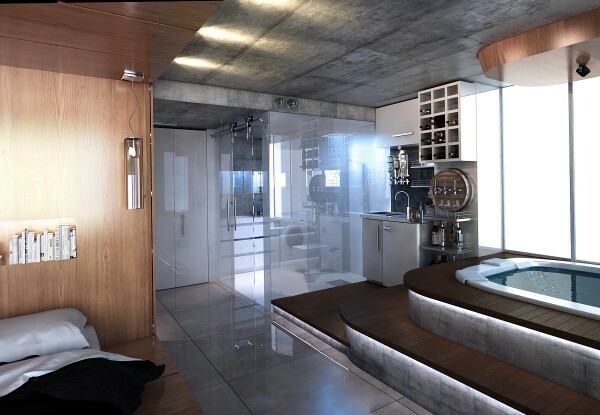 The huge private bath is the only way to soak away a long day of luxury living. 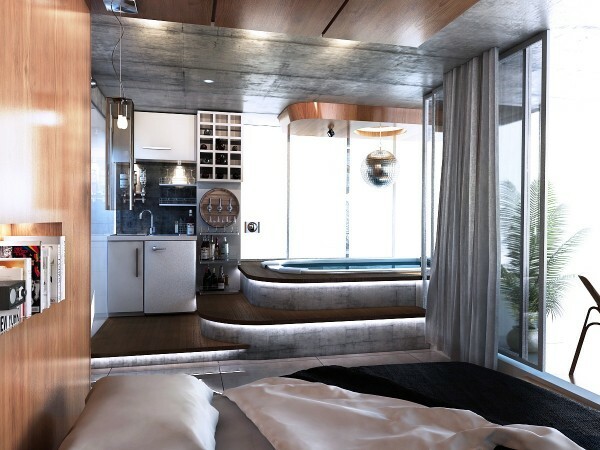 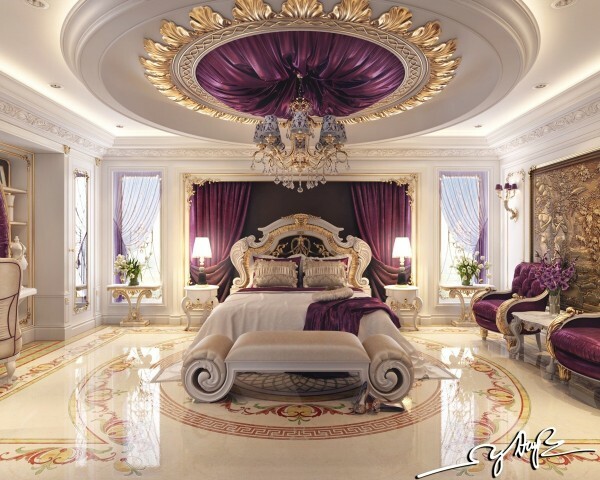 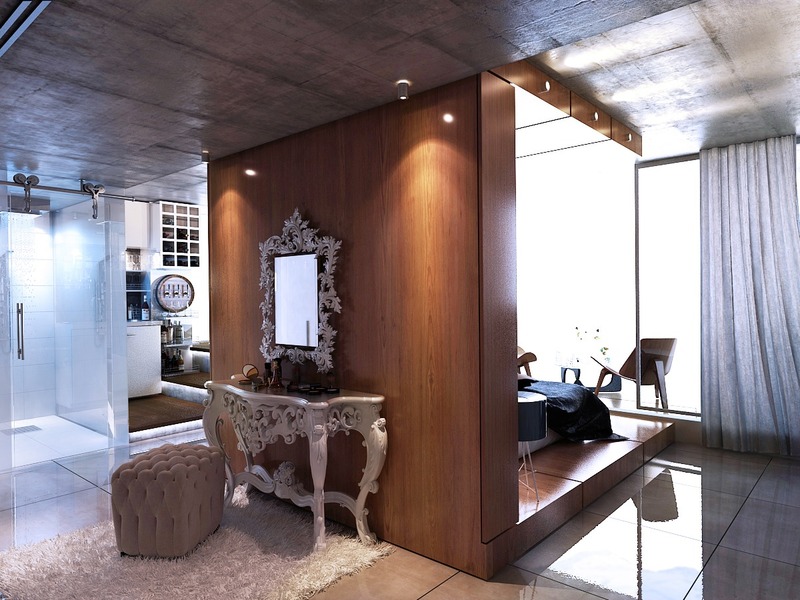 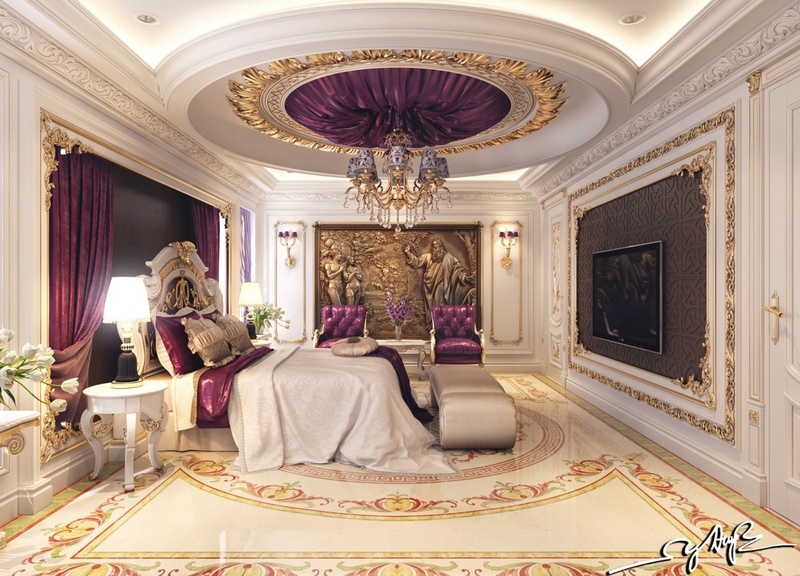 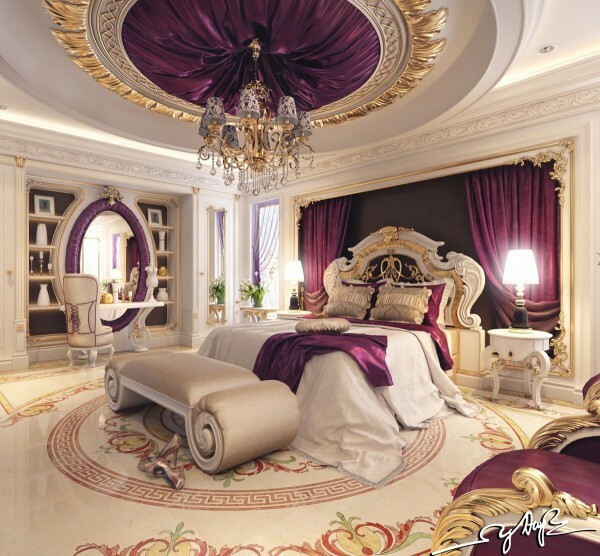 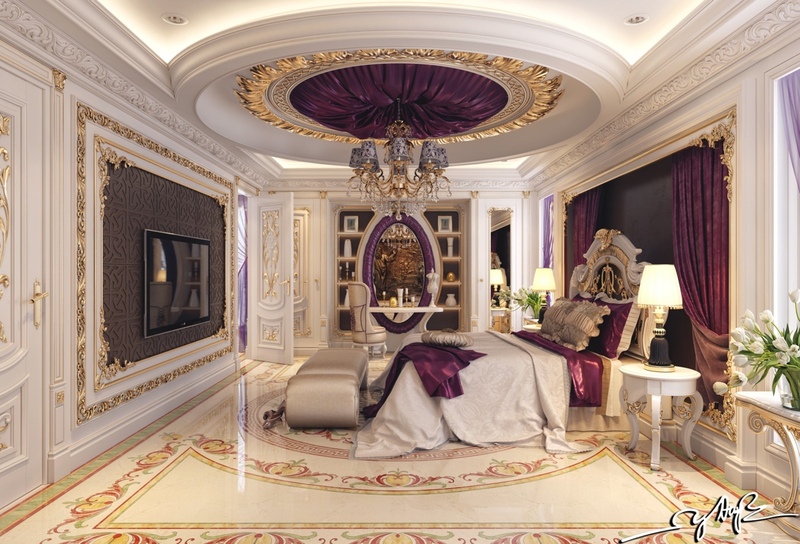 On the other end of the spectrum is this simple bedroom that celebrates luxury in an entirely different way. 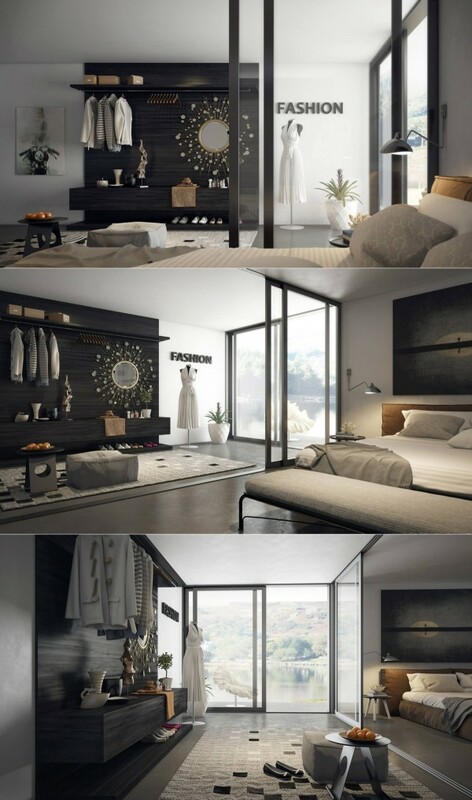 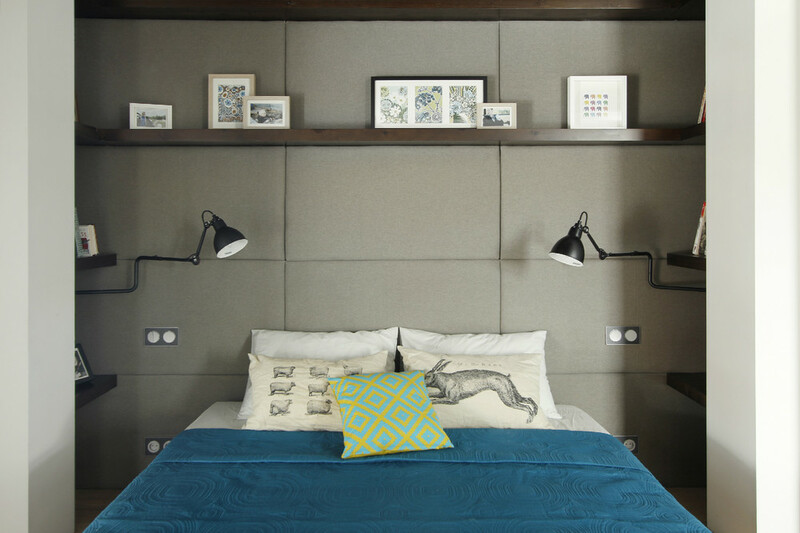 With dark wood accents and a carefully organized storage system, this bedroom is what modern luxury is all about. 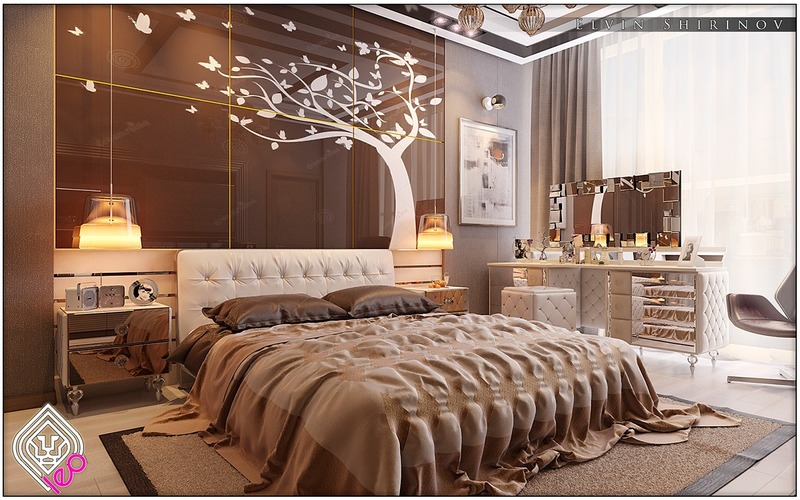 Finally, a fashion forward lady’s bedroom with space specifically for planning outfits is a creative luxury choice. 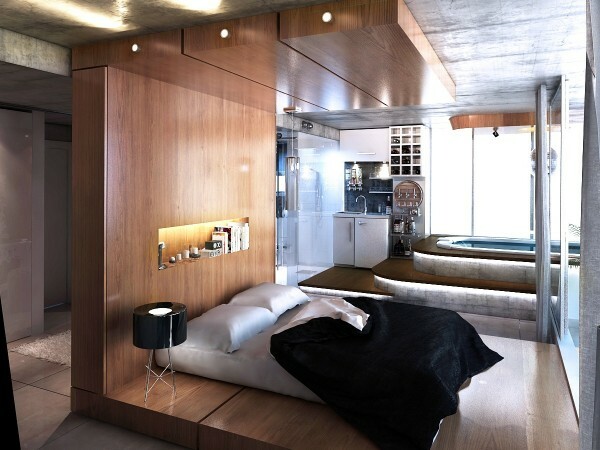 The fantastic views and supersoft bedding are nice, too.